Accidents can happen regardless of how careful a driver is while driving. Having an auto insurance is the best way to manage risk. Protect yourself and your car from any mishaps with Malayan Car Insurance. Enjoy qaulity comprehensive car insurance annually while savings tons of money. Get Free Malayan Car Insurance Quotes Online at eCompareMo. What Shall I Do If I Need To File A Car Insurance Claim with Malayan? Malayan will also ask you to complete a sworn statement that stated the incident of the vehicular accident (exact time of the incident occured, weather conditions and such). Don't forget to take photos of the damage and take note of any personal injury you notice. What to consider when choosing a car insurance policy from Malayan? When we talk about auto insurance, we want to be well covered in case we get in an accident, but we don't want to pay more that we have to. 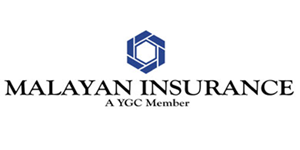 When searching for an auto insurance with Malayan, you must first understand what are the coverages and benefits included in the policy, think about the amount of coverage you required, take note of your current financial condition and deliberate whether you need to elevate your limits to cover your resources.